Apple’s smartphone platform, iOS has built its market all over world and have become the leading smartphone OS after Android. The number of gamers has been increasing day by day as gaming is the best way for entertainment and to be relieved from stress. As smartphone users are increasing day by day so as iOS users are increasing and being an iOS user you might be looking for the best games to play on your iPhones or iPads. Katelyn from clashroyaleworld.com have made list of top 10 best ios games. Asphalt 8: Airborne is the most popular racing and arcade type game for Android and iOS both the platforms. The cars in this game can do all unusual and fictional things like you can fly thousands of meters in the air and drift around endlessly. After all it’s all up to you how you win the race by smashing your rivals or the need for speed would make you win the race. It is a high end game with best quality graphics that would make your gaming experience more awesome. 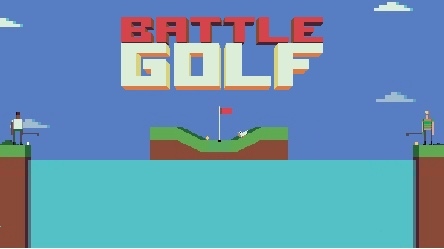 Download this game from here. Crazy Taxi is the best ever game from Sega Inc. Although it looks a little when compared to the modern smartphone games, but you would still love it because of its superb gaming strategy. You need to collect coins by dropping passengers to their destination and get the desired fare from them. The controller system of the game works smoothly but there are some annoying ads that you won’t like. But who cares about them when you have a free Taxi to travel. Golf is a type of game that either you would love like hell or you would find it boring because it’s a foolish guy hitting a ball to get it in the hole and takes a full day to complete only a few goals. The game revolves around two players who need to thwack their balls around the ground and lake to win the game. And as the name of the game suggests you can even play the game online with your friends and relatives. New Star Soccer is a sports type game where you can play soccer with easy to use and user friendly controls. If you have ever wondered of being Messy or Ronaldo then you can play this game to polish your skills. 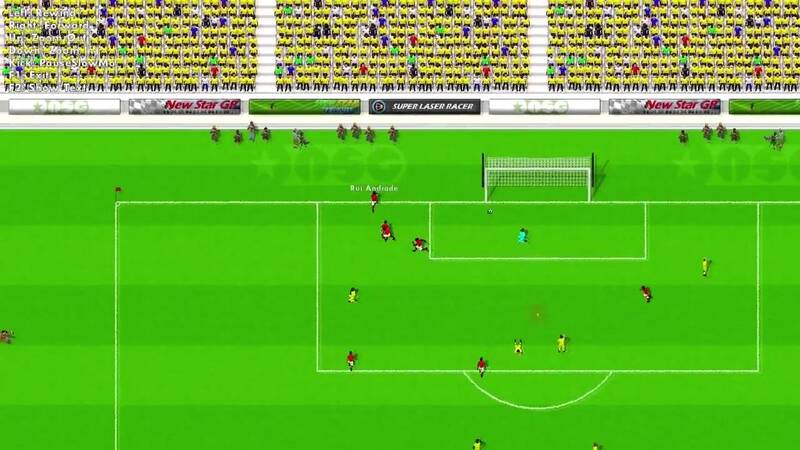 This simple and awesome match and time based game would let you fell in love with soccer. The grumble to hit your opponent team’s players and score goals makes this game more fun to play. The Cally’s Caves 3 is an adventure type game based on a story. There are certain levels and stages you need to clear to win at last. The story of the game revolves around the parents of Cally being kidnapped and she had to run and bound to find them by crossing certain difficulties and problems that are on her way. It has a well-built level design with checkpoint system that lets you be more careful on the way. Hoggy 2 is more a cartoonist like game and gives a look of old video games that we used to play. The plot of the game revolves around the Evil Men who kidnaps Gloppy’s kids and he is on a mission to save them. You can play this game as mum and dad as well. As you jump from one floor to other you need to be aware of the surroundings and the objects that might be useful for you. The Power Hover is a free and stunning game for iOS gamers. A robot comes across various landscapes and had adventures in an unusual but beautiful world. The game lets you run and play with your hover board from an underground tunnel to hovering above the sky far from clouds. 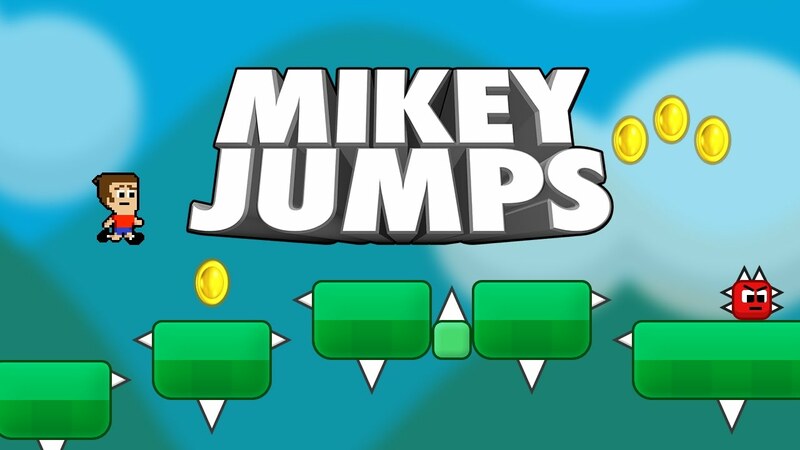 Mikey Jumps is almost a copy game of Super Mario Bros from Nintendo but has some changes that make the game loved by you. Instead of the buttons to control you use you touch ID to move the character and fight against various enemies to win the game against the villain. Whether you are traveling in cab or waiting for your food in the restaurant you can always play this as it has small missions and make you addicted to it. You need to pass certain traps and go up with the wall to pass a level by defeating your enemies with ease. The Rodeo Stampede is a game that will let you know how zoos are populated and how they are been maintained and what are the difficulties faced by the management. Here you need to even capture some animals and manage their food and daily lives that make the game more awesome. These were the 10 best games that you can play for free in IOS. The games described above have been tested by us and all are awesome to play. We personally selected these after playing each one of them. Go get one of these free games and tell us what your favorite games are and what was your experience with these games in the comment section below. Asphalt seems to be getting better every year! I simply love the graphics.